Saleh, before his open-heart surgery: happy to be in his father’s arms. Saleh, the morning after surgery: sitting up straight in bed, demanding water. Yelling, actually. At the end of his bed: a stash of treasures his parents brought, including packs of stickers, two plastic horns, a kaleidoscope and a yoyo. Attempts to climb out of bed: Three. Attempts to pull out his chest tube: Also three. Finally, after much coaxing and several head rubs: a nap. Saleh is a handful! Hours after his open heart surgery, nothing could make his parents (or us) happier. 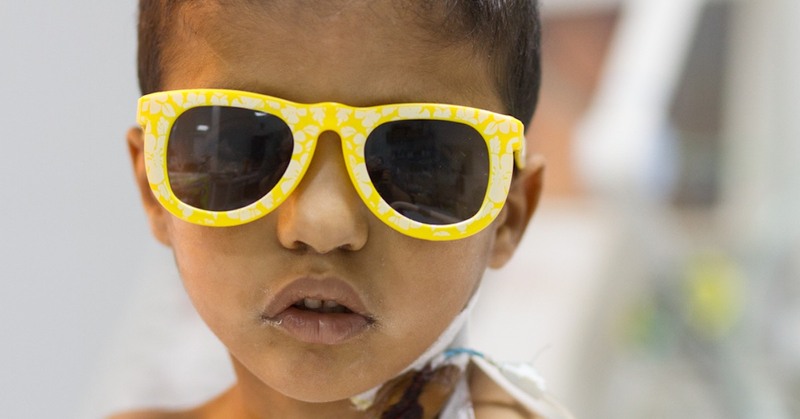 Help us provide more lifesaving heart surgeries for kids in Libya! Donate here.